Flee, Man! – the Zombie Runner - You are being pursued by bloodthirsty zombies! Beat it! Scram! Seriously: RUN! We don't mean "tap the screen really fast with your finger" - anybody can do that. We actually mean: RUN! When zombies appear, it's time to be somewhere else, and fast! So get a move on! Because if they catch you, you've had it! It's goodbye life! Farewell forever! It was nice knowing you! It's just like the real world, where hordes of zombies eat you for breakfast. (Don't say it couldn't happen! There are plenty of B-movies that prove otherwise!). Thankfully, Flee, Man! warns you whenever zombies are sighted. If you happen to be attending nature's call at the time, which renders you incapable of running (or makes it somewhat embarrassing in front of the neighbors...), then a well-aimed shot between the eyes will do the trick. Because that's just how nice we are. However: Whoever survives the most escapes in a row, wins. So get your running shoes on and go! Be Flee-Man! • RUN from the zombies who are out to get you. In real life! • Be FAST and reach the required number of paces, or cover the specified distance. • Be quicker than the zombies. A successful escape run yields AMMO for your weapons. • Use weapons to ward off the zombies when you can't run. • Survive as many consecutive escapes as possible to beat the record. • Get great achievements and records. • Do not run in front of a car, truck, or launching airplane on your escape! • Do not run in front of a landing airplane on your escape! • Stay healthy on the run (and at other times), and be sure not to over-exert yourself! • Don't blame US if you stub your toe! • We accept no responsibility for any injuries or damages incurred during an escape run, and we give absolutely zero guarantees. Further above, we said "Goodbye life". We hereby admit and deeply regret that this was a totally exaggerated remark made for the sole purpose of linguistic dramatization created from motives of marketing. In actual fact, you will only lose a digital life, not your REAL one. If our statement scared you, we offer our sincerest apologies. And now – RUN! Flee, Man! 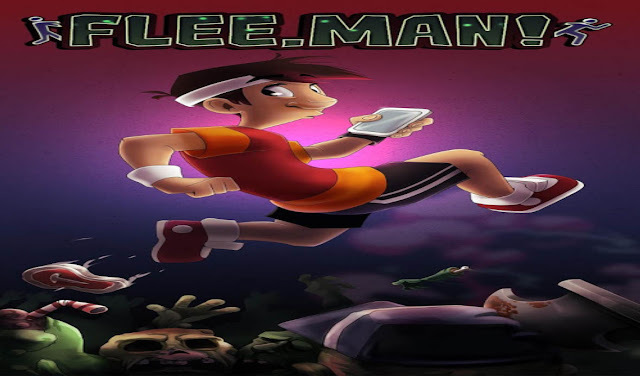 – the Zombie Runner: install APK and play the game.